More than 350 students, teachers and coaches from schools throughout Limerick will attend a major sports Coaching & Development Educational Seminar at the Millennium Theatre in Limerick Institute of Technology (LIT) this coming Friday. The seminar, the theme of which is ‘Looking after your mental and physical health’, is aimed at 16-19 year olds and is being jointly hosted by the Mid West Regional Drugs Task Force(MWRDTF), Limerick Sports Partnership (LSP) and LIT. 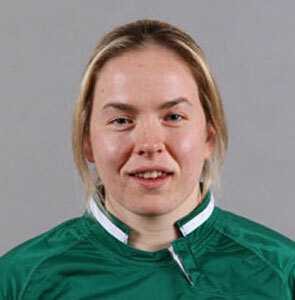 Speakers on the day will include Niamh Briggs, captain of the Irish women’s Rugby team and Community Guard; Catherine Norton Nutritionist with Munster Rugby; and Professor Billy O’Connor, Head of Teaching & Research in Physiology at UL’s Graduate Entry Medical. The speakers will be joined in a panel discussion by the Coordinator of the Mid West Regional Drugs Task Force, Gearoid Prendergast and LSP Coordinator, Phelim Macken. “The primary purpose of this conference will be to highlight the importance of collaborative approaches when dealing with substance misuse and sport and related factors such as mental health issues,” commented Liam Cantwell, Youth Sports Development Officer, Limerick Sports Partnership. “It is envisaged that this seminar will lead to further inter-agency work between the MWRDTF, LSP, LIT and other relevant stakeholders, in promoting positive developmental information within sport as it plays such a central role within Limerick’s schools and communities,” he added. The Coaching & Development Educational Seminar takes place at LIT’s Millennium Theatre from 11am to 1pm this Friday (17 April 2015).